Social Media has revolutionised the way that we can find jobs and the way that recruiters find their perspective employees. Recruiters are now using social media to advertise their vacancies. This provides jobseekers with a new outlet for locating vacancies. We have earlier discussed the ways to get a job through LinkedIn, but here we will focus on Facebook and Twitter. Facebook has the least functionality for finding a job, but it is still important that we do not neglect Facebook. 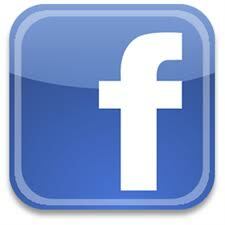 Your profile is often not fully visible to the public because Facebook is more personal. However, your profile and pictures on Facebook should be paid close attention to, as it can damage your job prospects. There is one obvious way to reach out through Facebook and this is by telling your friends that you are looking for a job. This reaches out to your wider Facebook network, which is often bigger than your actual friends group. Your Facebook friends may increase your reach, by sharing your message to their friends. You can also opt to take away all the privacy controls on your Facebook account, so that you become viewable by the public. If you then say in your profile that you are an Executive PA looking for work, recruiters may be able to find your profile. However, if you choose not to use Facebook to find jobs, you should still pay attention to what is visible on your profile. Recruitment agencies, perspective employers and background checking agencies use your Facebook profile to verify what type of person you are. Therefore, some of your fun profile that is great between friends may present a very bad image to perspective employers. Therefore, a quick audit of your profile may be beneficial. Twitter has much more functionality for finding jobs than Facebook. It is a fully accessible form of social media for search engines. This will enable recruiters and employers to use Twitter find suitable candidates. Proactive jobseekers are free to follow relevant profile, recruiters and employers, in order to get tweets about the latest jobs. This means that it is now possible to find a good amount of jobs, without going to various agencies and signing up. 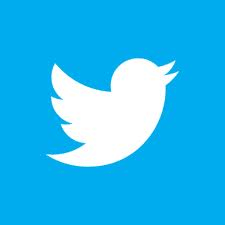 The opening of a twitter account is a little more complex, because you are only given 140 characters to write your profile. You also need to choose the keywords, which are relevant to your jobs. Therefore, #ExecutiveAssistant, #MedicalSecretary or #EA may be good keywords. You notice that your keywords should have # in front of them, which will make them searchable. Recruiters and employers looking to fill vacancies for these positions will be able to find your profile, using these terms. Twitter uses the information that it has on you to suggest your followers and that people follow you. Therefore, it can use your profile, but it will also use the type of following that you have. So you need to go onto twitter and follow recruiters and employers. You should also follow peers, who are working in your industry. This will tell twitter your career type and the type of account that you hold. This will mean that your profile may be prompted to recruiters, as someone to follow. This is ideal, as Twitter will be promoting your profile to profiles that are potential employers. You can also develop your profile by adding a link to your online CV, which is particularly popular. This methodology can be very beneficial and has been employed by many of my students who have completed my courses, including the Executive AssistantCourse.